“Provide a surrogate or placeholder for another object to control access to it” is the intent provided by GoF. Proxy design pattern gets second rank in popularity in interviews. Guess who gets the first rank? none other than singleton design pattern. Protection Proxy – Are you working on a MNC? If so, you might be well aware of the proxy server that provides you internet. Saying more than provides, the right word is censores internet. The management feels its better to censor some content and provide only work related web pages. Proxy server does that job. This is a type of proxy design pattern. Lighter part of censor is, we search for something critical in Google and click the result and you get this page is blocked by proxy server. You never know why this page is blocked and you feel this is genuine. How do you overcome that, over a period you learn to live with it. 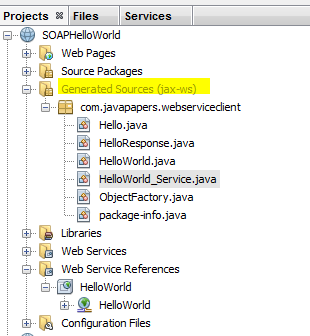 Sometime back I wrote an article on A helloworld for Soap Web Service. A part of it contains implementation of proxy design pattern. The client has the stub files generated which acts as a proxy for the classes in server side. From JDK 1.3 java has direct support for implementing proxy design pattern. We need not worry on mainting the reference and object creation. Java provides us the needed utilities. Following example implementation explains on how to use java’s api for proxy design pattern. Adapter design pattern provides a different interface from the real object and enables the client to use it to interact with the real object. 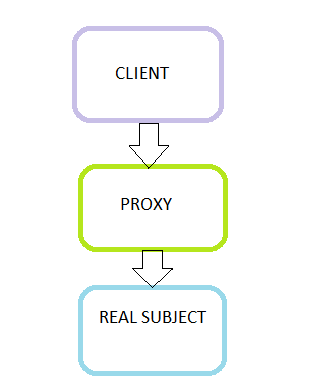 But, proxy design pattern provides the same interface as in the real object. Decorator design pattern adds behaviour at runtime to the real object. But, Proxy does not change the behaviour instead it controls the behaviour. Comments on "Proxy Design Pattern"
Really useful bolg for java developers. Thanks, but this is not a proxy. This is a dynamic proxy. Simple explanation …. good sir. Could you please consider adding one heading “Prototype vs Proxy Design Pattern” at the end of this article? Could you please provide some insight regarding performance issues in Java. THis is what I was trying to understand ! Thank you, lot of complicated topics expressed in simple and understandable terms. Thanks again. very very neat and good …. ! thankyou…. This web site is really very good and it gives you understanding of concepts that you will never forget. I have read many java and design pattern related articles from your blog. Articles on your blog are very good and very simple. Thanks for all this great work !! Very Nice article…enjoyed reading it ! and examples are lively !!!! good choice of words !!!!! Composite design pattern is based on creating a tree structure in such a way that an individual leaf of the tree can be treated just like entire tree composition. So my question is how it is different from calling the method directly by realSubject.getSound();, I mean to say how we are getting benefit by creating the proxy as proxy seems to be a very lightweight object? Also if you see the hashcode of proxy object and realSubject, both of them are giving same hashcode. Comments are closed for "Proxy Design Pattern".